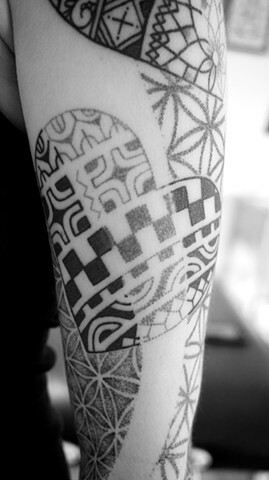 CUSTOM TRIBAL AND BLACKWORK TATTOOS BY MIKEL - Sacred geometry with flower of life and hearts. Full sleeve, done in dot work. Sacred geometry with flower of life and hearts. Full sleeve, done in dot work.